Chapter 9 is split into two major sections: one is the speed brake and the other is the main landing gear. The Long-EZ has a 17.5"x17.5" retractable flap tucked underneath its belly of the fuselage. 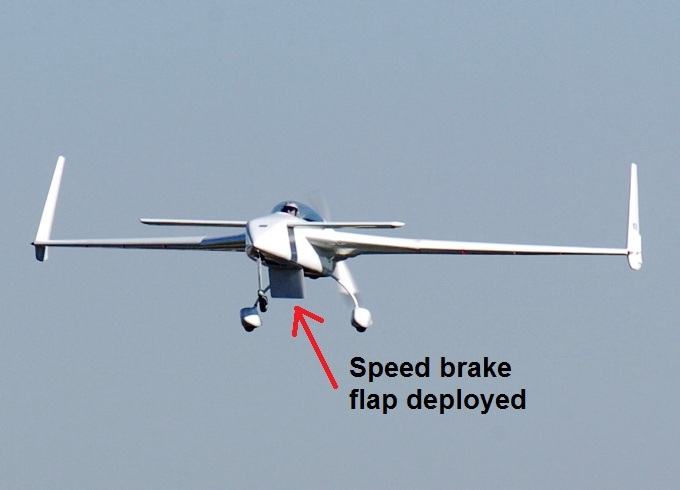 During the landing phase, the flap is deployed in order to slow the aircraft down and reduce the amount of runway required to land. The plans for the speed brake come in a separate section (Section VI). At first, I was confused as to why it was Section VI, since the main Long-EZ plans is Section I and the engine installation plans is Section II - you would think next in line would be Section III. 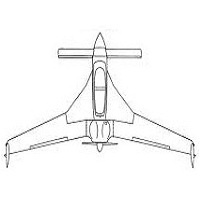 The answer to this mystery is that the speed brake is copied from the original VariEze plans - which happens to be Section VI - Rutan just kept it the same name. As stated in Section I - Chapter 9, the Long-EZ speed brake is a bit larger - 17.5" x 17.5" (rather than 16"x16" as stated for the VariEze). Also, the original plans for the speed brake are for a hand-crank actuated speed brake. Modern technology makes it easier by replacing this entire hand-crank system with an electric linear actuator. A square depression is milled out of the fuselage belly where the speed brake fits into when in the retracted position. The forward most edge gets reinforced in order to install the speed brake with a piano hinge. The entire depression is then glassed. When everything cures, the speed brake flap panel is constructed. Although the plans say to use urethane type foam, I used Divinycell H-45 leftover from Chapter 5 and opted to use that instead. Brackets are then constructed and the electric actuator is installed.